As Michigan hovers between winter and spring weather, we face wet roads. Just like on snowy and icy roads, we need to keep some things in mind when driving in wet conditions. State Farm and AAA Insurance have some suggestions on what to do to keep yourself safe during the changing weather. Be prepared: Rain can come at any time, so make sure your windshield wipers are in proper working order and don’t leave streaks across your field of vision. It’s always a good idea to make sure your tires are properly inflated and in good shape, too, to avoid any traction problems in the water. And, make sure your brakes work well, so if you have to stop abruptly, you don’t find yourself without a way to do so. Turn on your headlights: Heavy rain often means low visibility, so why not make sure your lights are on so other drivers have a better chance of seeing you on the road? Rainy weather can lead to lots of mud, too, so make sure your headlights and taillights are clean and clear. Turn off cruise control: In wet situations, cruise control can actually make you lose control of your vehicle. If cruise is engaged, you can’t slowly let off the accelerator to get yourself out of a hydroplaning situation, and you might actually speed up. 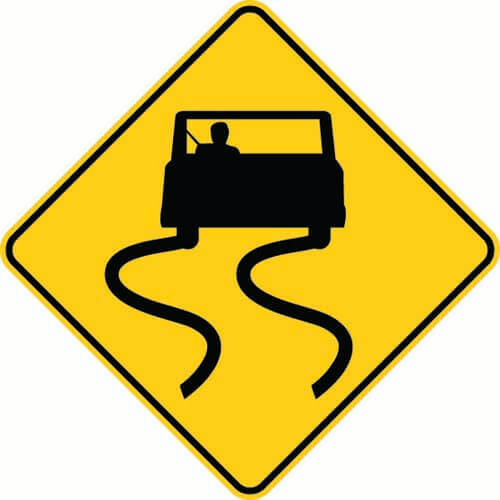 Beware of hydroplaning: Hydroplaning occurs when your tire is getting more traction on the water than on the road. This will cause your car to start sliding uncontrollably. If this starts happening to you, slowly let off the accelerator and steer straight until you regain control. Take it slow: Once the weather turns nicer and warmer, it’s easy to get used to driving the speed limit and cruising to your intended location. Once it starts raining, you need to think about slowing down and giving yourself extra time to get to your destination. Speed limit signs are for “ideal conditions,” and rain doesn’t make driving ideal. So, as the weather starts warming up and spring gets closer, remember to keep these tips in mind when the rain comes. It will definitely keep you safer, and hopefully others will do the same.